New; 268 Pages! 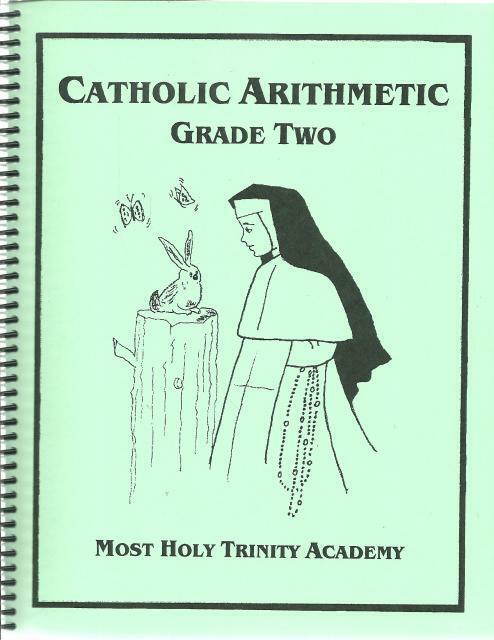 Having exhausted every effort of hoping to find a traditional Catholic textbook for the early grades, the opportunity presented itself to create one. The results of many minds and talents is what you see between the pages of the Catholic Arithmetic. We choose to call the science of computing figures by the correct term, Arithmetic, not Math. The Dominican Sisters have been able to provide us with the most edifying pictures of the nuns that dot the pages. It is here at the very beginning stages of learning that the Second Grade student will learn what "Sister says". The pictures will certainly please the little child as they make the journey through Catholic Arithmetic.